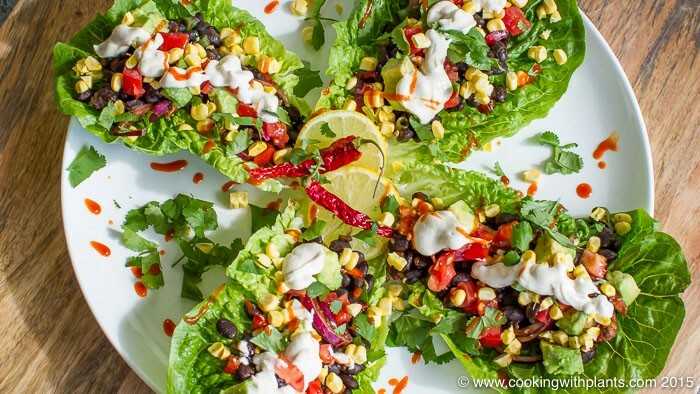 Today I show you how to make lettuce wrap black bean tacos with vegan cashew sour cream. 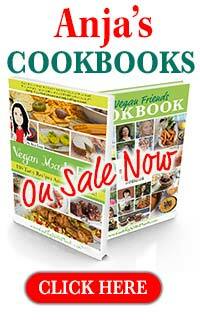 This delicious plant based recipe is gluten free and dairy free and tastes absolutely amazing. First of all, add combine 1/2 cup cashews with 1/2 cup water to let it soak for a while. Next, place all of the black bean mix ingredients into a large mixing bowl and combine all of the ingredients very well. Let it sit aside. Now take your soaked cashews (including the soak water) and blend with the remaining ingredient for about 2 minutes or until the mixture is smooth and creamy. Now you are ready to fill your lettuce tacos! Simply take one of your romaine lettuce leaves and fill it with some of the bean mix, then top it with the toppings that you have ready to go. Top with some cashew sour cream. As an optional extra you can also put a bit of hot sauce on top. YUM! 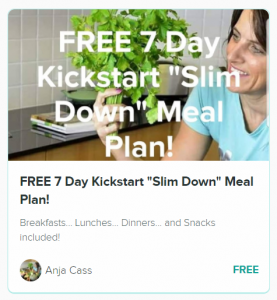 Hi Anja– Am really enjoying your videos and recipes! Thanks for all your excellent demonstrations and suggestions. We made your baked eggplant for holiday dinner, and I was emboldened to pinch your recipe for cashew sour cream to make a stroganoff-like dish,using pasta and a store-bought meatless ground beef (I wonder if your vegan taco meat would work?). One question: If I want to make the sour cream really smooth, how long should I soak the cashews in water? Thanks again! 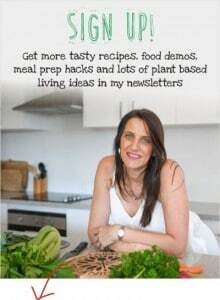 So glad you are enjoying the recipes Wendy 🙂 As for making super smooth cashew sour cream, I usually don’t soak mine because I have quite a powerful blender. However if you want to soak them I would do a minimum of 2 hours or overnight. Then rinse and use. Enjoy!